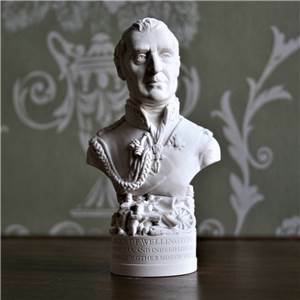 Bust of Wellington Model or Plaquein hand made in fine gypsum plaster. 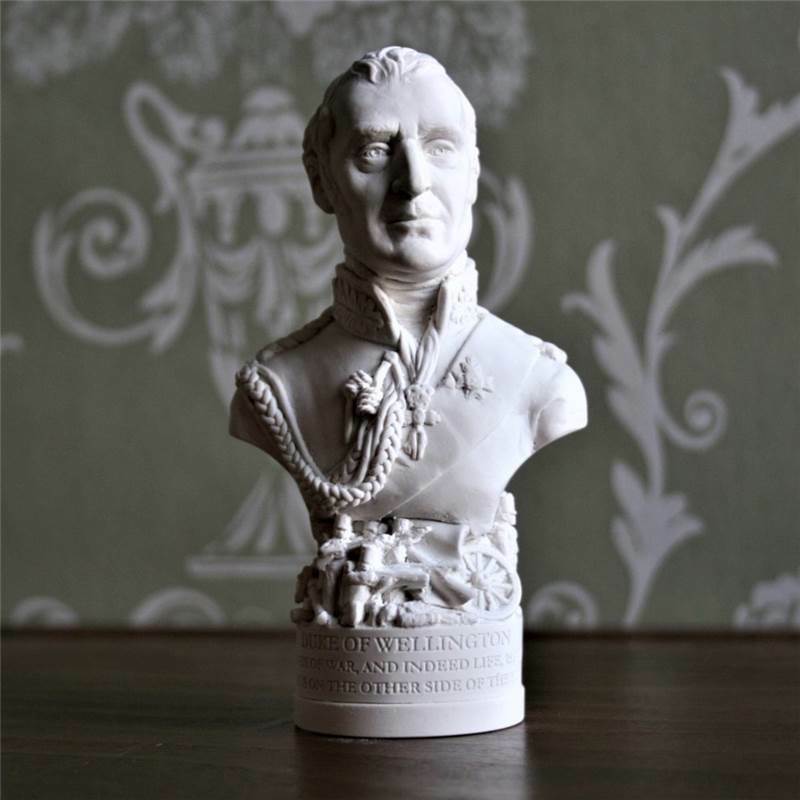 Field Marshal Arthur Wellesley, 1st Duke of Wellington (1769-1852) was an Anglo-Irish statesman and one of the leading military and political figures of 19th century Britain. He defeated Napoleon at the Battle of Waterloo in 1815. 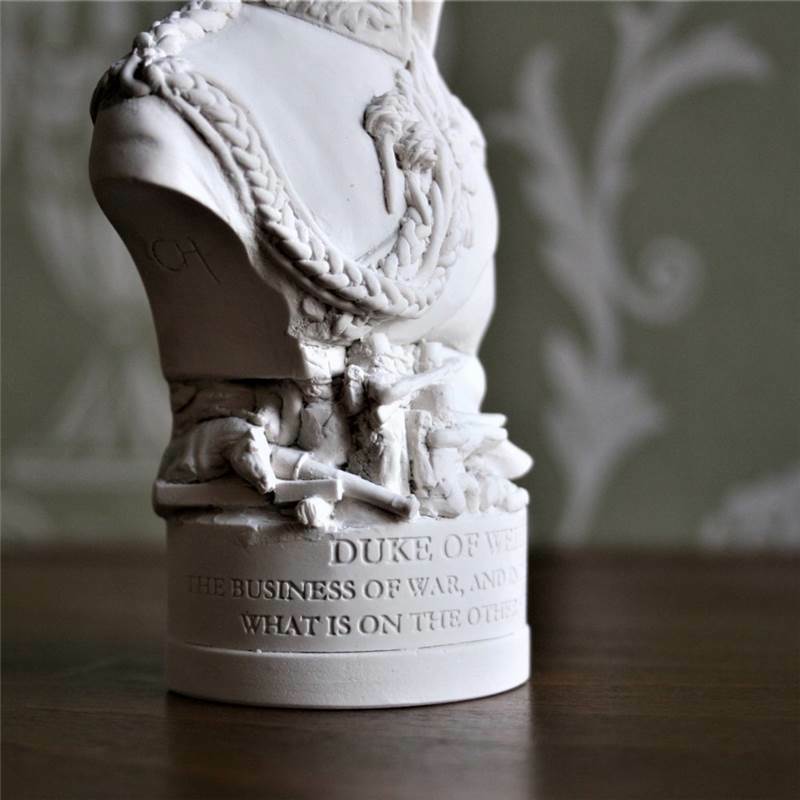 This original bust, sculpted at our workshop in Bath, draws on the many paintings and sketches of the Duke. 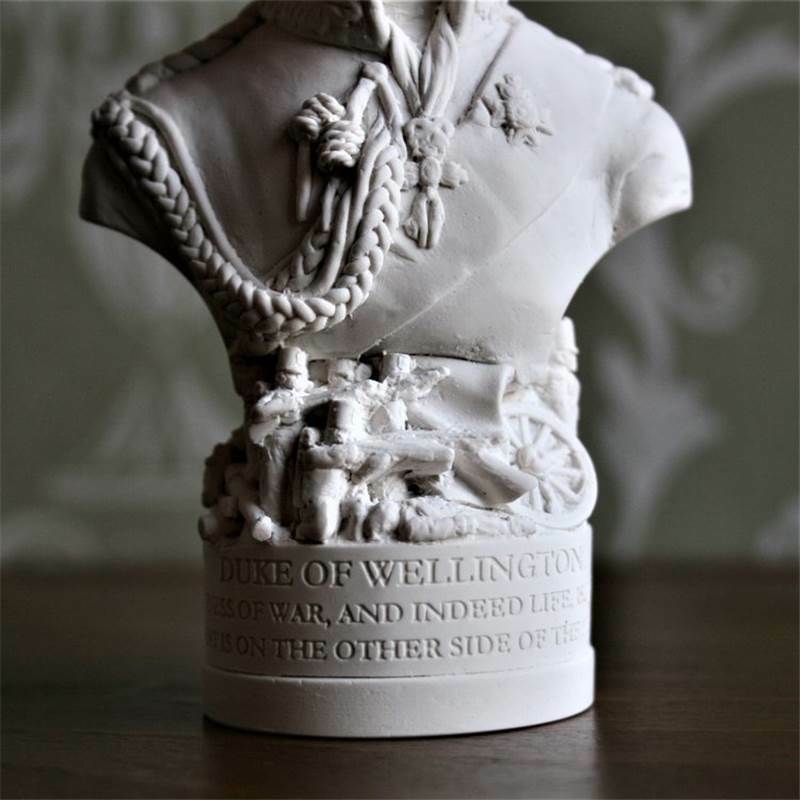 The figures around the base include scenes from the Battle of Waterloo with riflemen, horses and canons as well as a small depiction of Napoleons capture. 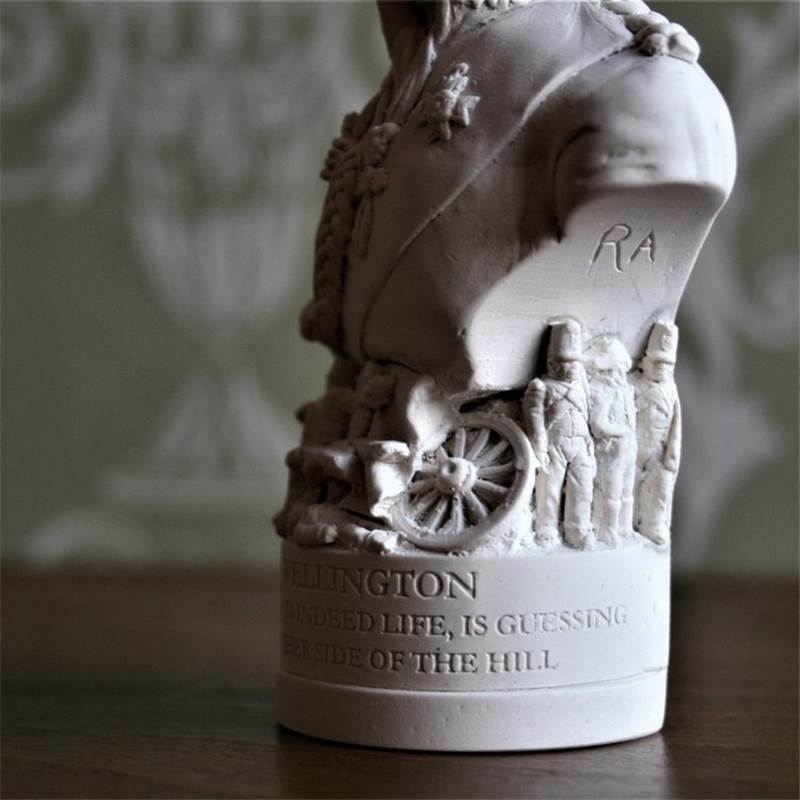 The etch around the base reads - "THE BUSINESS OF WAR, AND INDEED LIFE, IS GUESSING WHAT IS ON THE OTHER SIDE OF THE HILL"